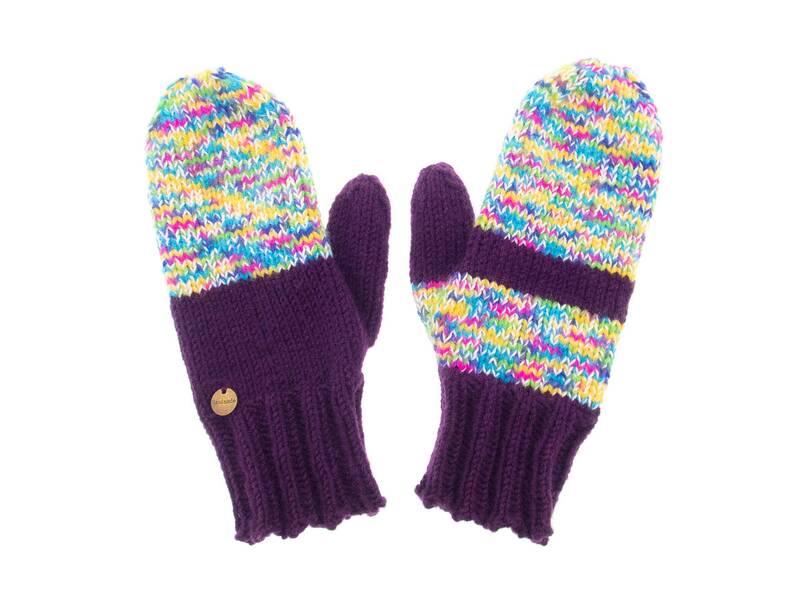 These are handmade mittens women's wool knitted. 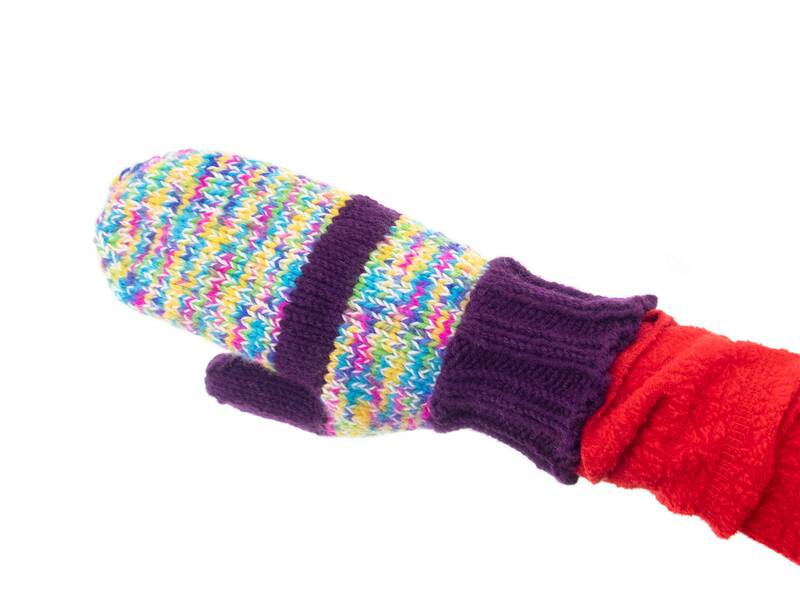 We designed them as mittens with thumb. 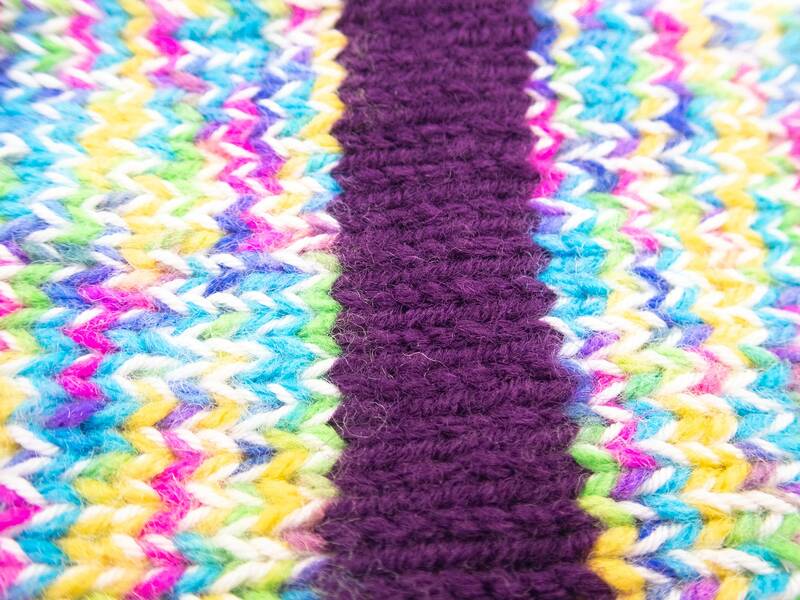 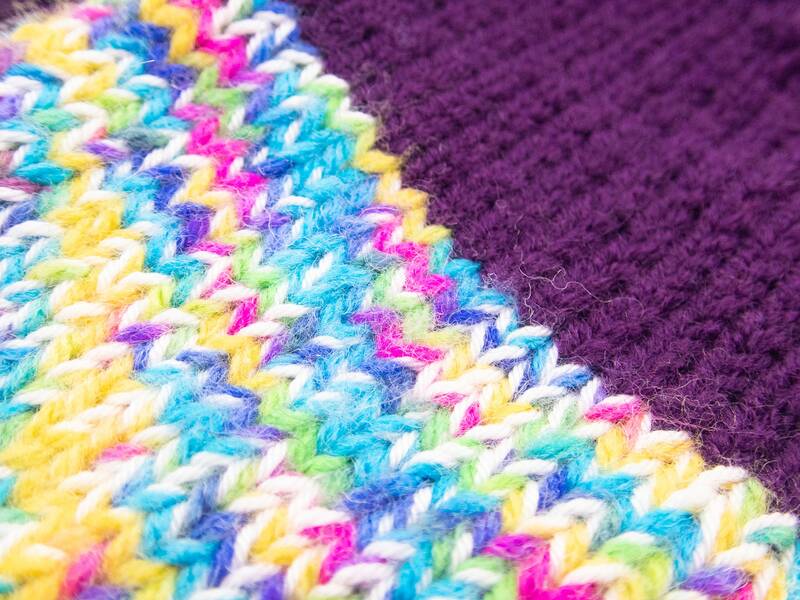 The main colors are purple and rainbow yarn. 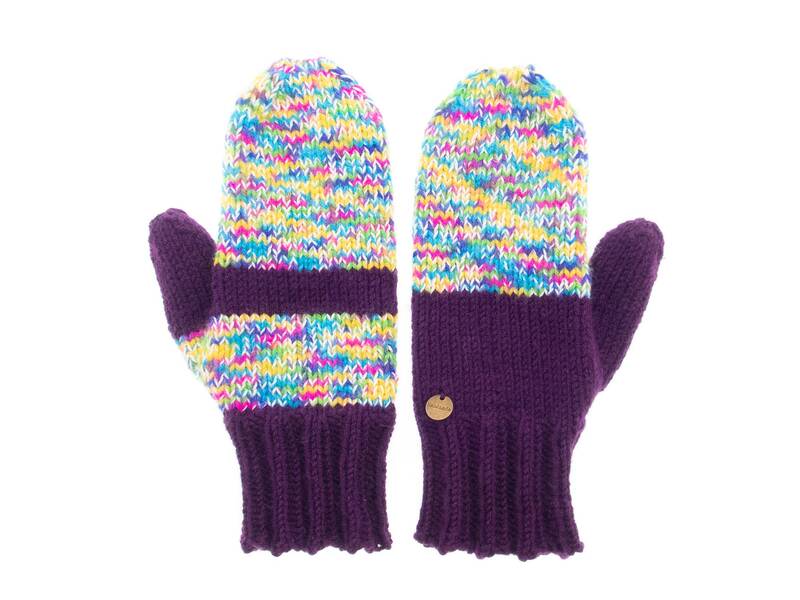 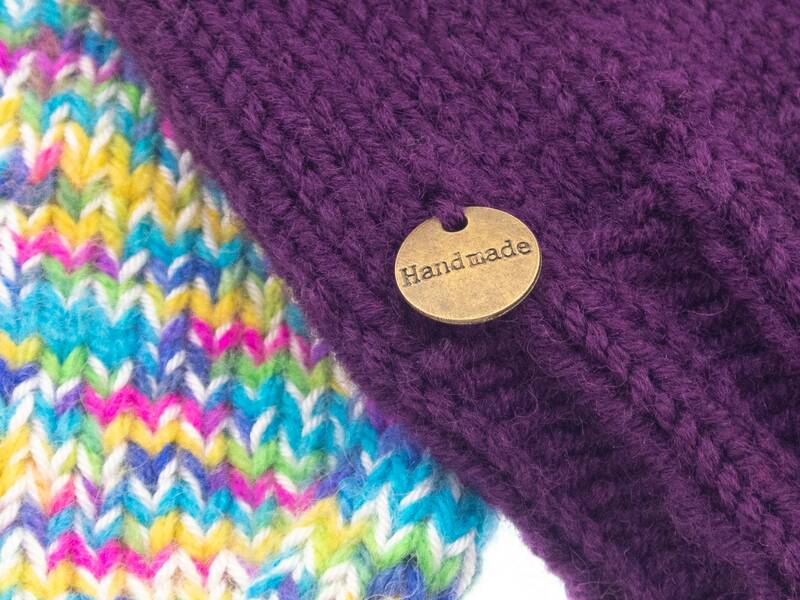 The mitts are knitted in the cute Nordic shape with one finger, that assure your warm comfort when you wear them. 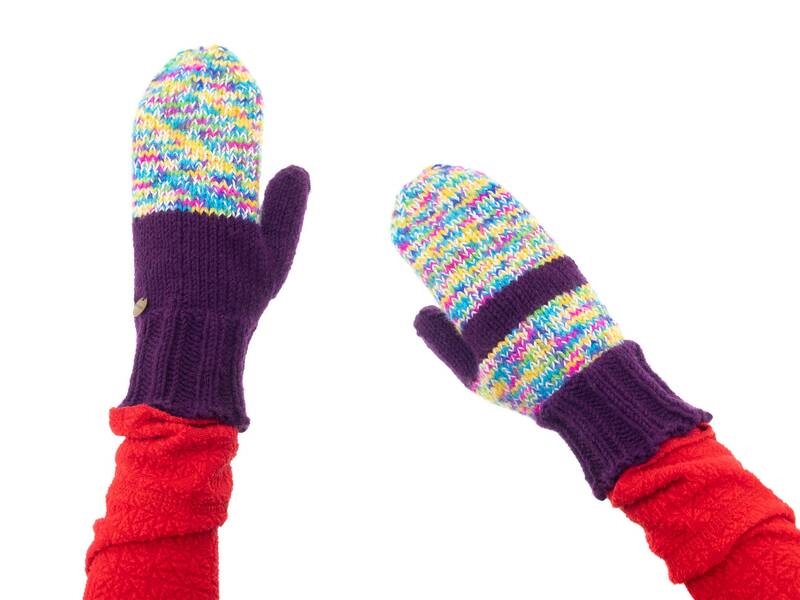 They are in asymmetrical designer odd pattern and left mitten differs from the right one, but they correspond perfectly. 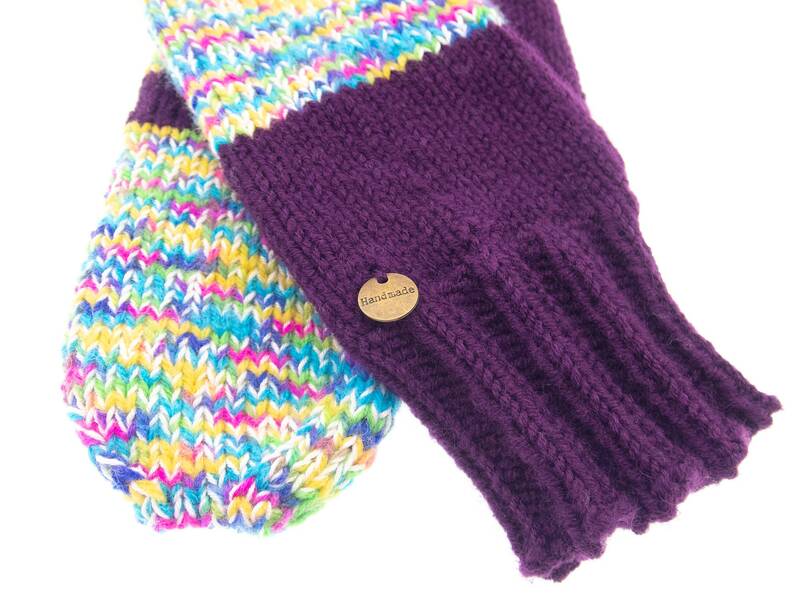 * wide 9 cm (3 9/16 inches). 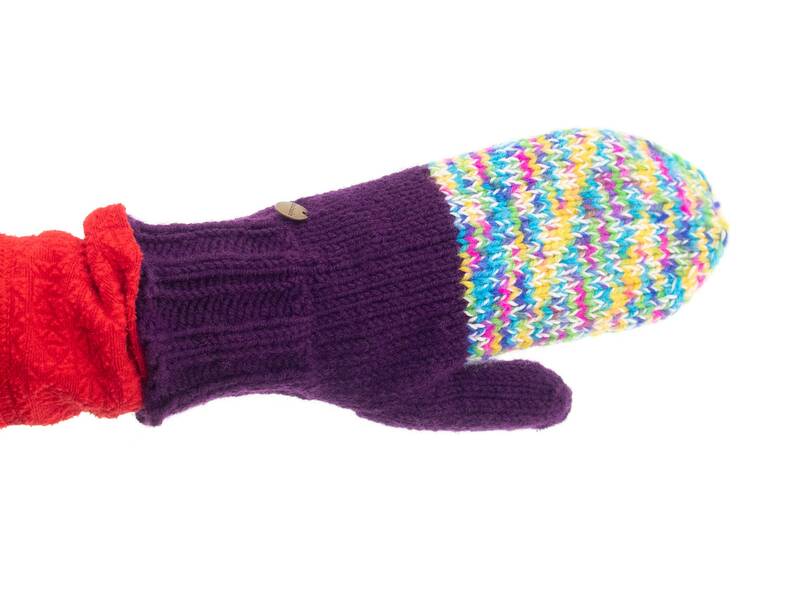 * One size of these mittens women's with thumb fits all ladies. 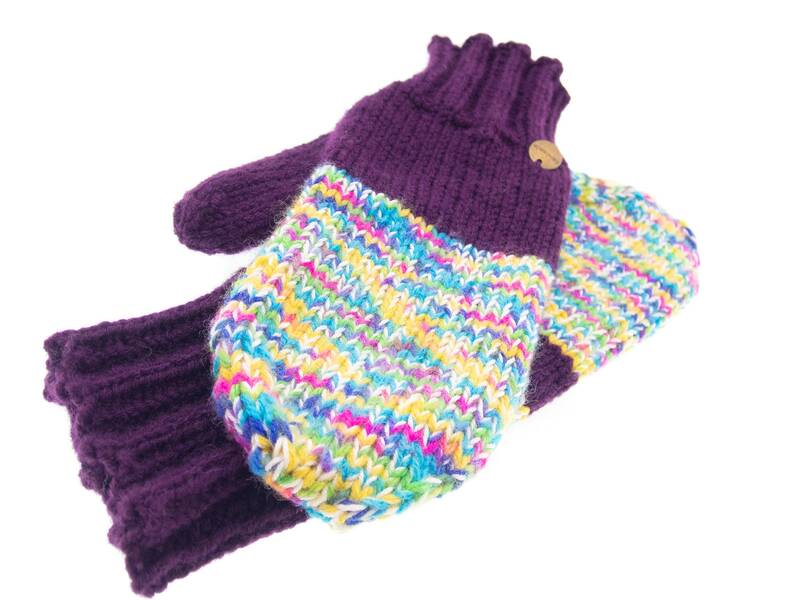 These women's gloves are handmade and one of a kind and if you purchase you will receive the pictured pair.